Gross Weight (GVWR) 7894 lbs. Whether you're ready to trade up, or you're looking to purchase your first Travel Trailer, Gillettes Interstate RV is your best choice for low, low prices and great financing on a huge inventory of RVs! 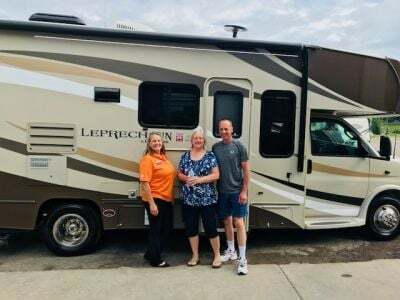 We've been the RV experts for over four decades in East Lansing and throughout Michigan, so we know how to make sure our customers can find and afford their dream RV! 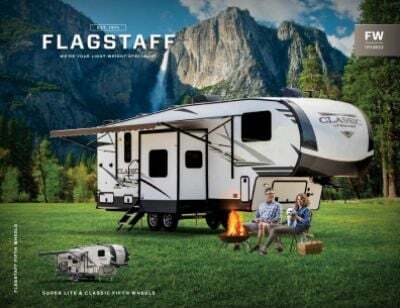 Stop in and see us today at 7210 E Saginaw St East Lansing Michigan 48823 and let us show you how easily we can put you in the 2019 Forest River Flagstaff Super Lite 26BWS Travel Trailer so you can enjoy great family vacations for years to come! Don't live in East Lansing? No problem! We have fast, reliable, door-to-door delivery anywhere in North America! 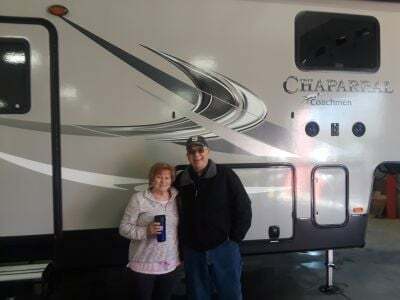 So give us a call at 517-339-8271 and let us put you in the RV of your dreams! This super Travel Trailer is a dream on the road! It's 29' 9" long, 8' 0" wide, with a hitch weight of 854 lbs. The 1 flush mount slides and flush mount 17' 0" patio awning reduce wind drag for easier towing, while the sturdy GVWR of 7894 lbs. means this RV will give you years of fun! At the end of a fun-filled day on the road, you want everyone to enjoy a great night's sleep! 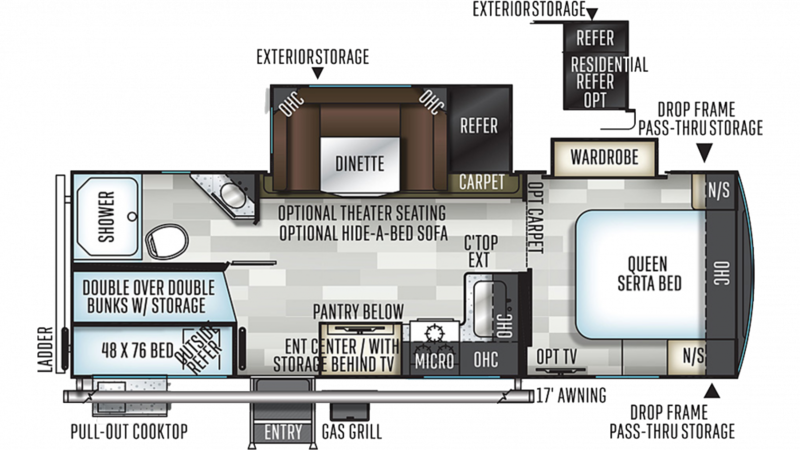 Luckily, this RV has 3 comfy beds, including the Bunkbeds in the roomy bunkhouse! Even if you're hungry, you don't need to go inside and miss the fun! The outside kitchen lets you cook up tasty meals in the fresh air and sunshine!